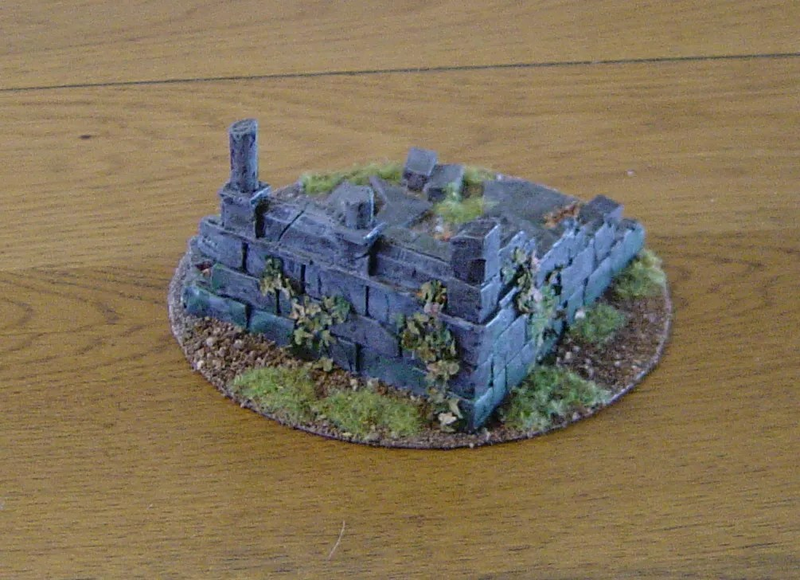 I also finished off a set of ruins I’d been doing. These are from the GW Gondorian ruins pack, again mounted on a CD base. On the outer side I used my normal flock, on the inside a combination of chopped up movement trays for flagstones and large stones along with a grey/brown soil mix made it more believable. Again leaves were added to help it blend into the base. 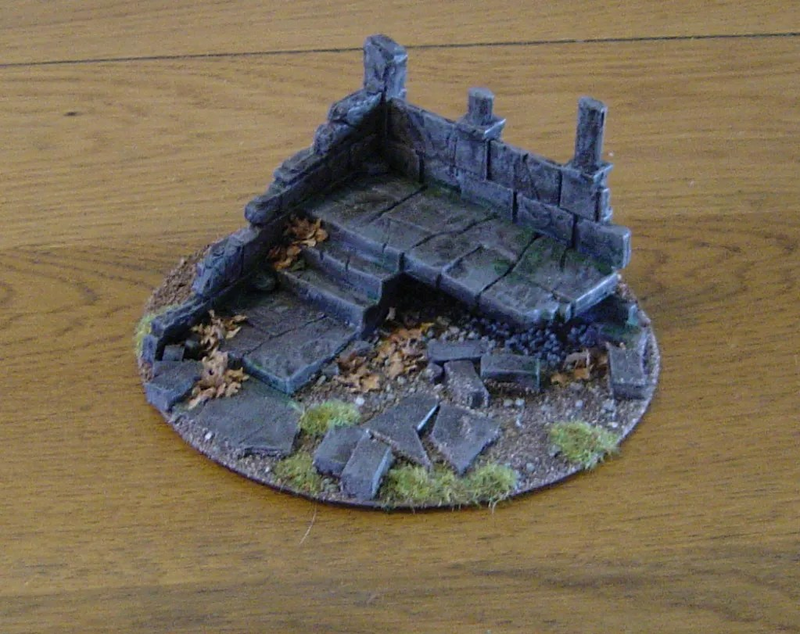 A nice simple terrain piece. I used Foundry Stone as the base colour, and then GW Devlan Mud as a wash over all the ruins, and then selective parts were washed with GW Thrakka Green to help merge the base with the green organic elements, to represent algae lichens and moss.